Not everything comes in the form of a wearable device. Sometimes it’s more important to focus on portability and reliability, instead of style, and that’s okay. Take the Bay Alarm Medical GPS Medical Alert System, for example. 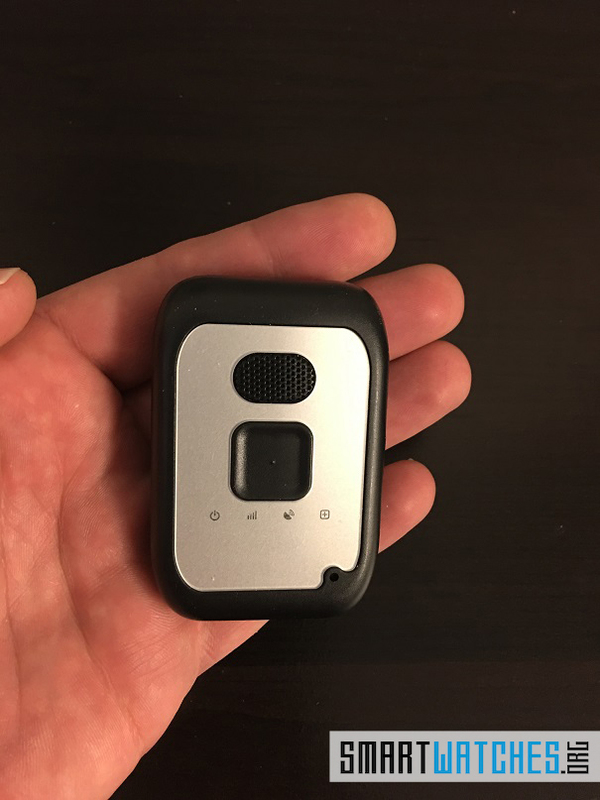 It’s nothing more than a small GPS module with a single emergency button on board. It does have a few bells and whistles, but the concept is simple. You carry the GPS module around with you, and when you need help you press the SOS button and it sends out alerts automatically. It’s great for people who live alone in the middle of nowhere, or seniors that can’t quite maintain independence. At any time, you can also track its location via GPS on a Google Maps like platform. You can even use it to track your kids, by slipping the GPS module into a backpack or lunchbox. And because it’s not in the form of a wearable device or mobile, they won’t be fiddling with it when they’re supposed to be paying attention in class. But even with all these purported features, it’s possible the Bay Alarm Medical GPS system isn’t right for you. It may be missing functionality that you need, or maybe even the price isn’t right. Whatever the case, we’re taking some time to review it for you. 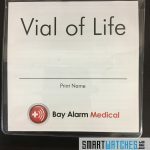 If you want to know whether the Bay Alarm Medical Alert System is right for you and your family, keep reading. As we’ve already established, the Bay Alarm Medical Alert System is nothing more than a small, portable GPS module. It’s a rectangular shape and resembles a chunky remote control. There is an SOS button on the front, a mic and speaker, and various indicators. It comes bundled with a charging cradle, which you can use to boost the battery when it’s running low. We’ll get to more of that in a bit. The entire module is about 2.7-inches tall, 1.8-inches wide, and 0.7 inches from front to back. It’s small enough to fit in a side pocket, certainly small enough to fit in a handbag or backpack. It’s powered by AT&T’s 3G cellular network, so it does require an active subscription for tracking. 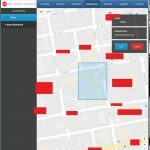 You can monitor its location remotely and track where it goes. Whoever has the module can also use it to call out in an emergency, no matter where they are. One of the best things about Bay Medical is that they offer multi-lingual support. If your native tongue isn’t English, you can still use this thing to get help. That’s important since they offer 24/7 emergency support. Anytime you call, you are immediately put in touch with an emergency operator. This is a GPS system, so it’s meant to be used outside the home. Bay Alarm Medical does offer a more comprehensive package that includes equipment to track a loved one inside. So, if you want to track elderly family members while they’re home, you might want to look into the more advanced system. Even with multi-lingual support, it doesn’t look like Bay Alarm Medical offers service outside of the United States, which is an important distinction to make. There are two “state-of-the-art” call centers for emergencies located in Ogden, Utah, and Rexburg, Idaho: both in the US, obviously. A third unnamed call center also is positioned inside the country somewhere. Interestingly, the module also comes with a useful belt holder so you can attach this thing to a belt or rim of your pants like a pager. Right off the bat, the GPS module gets a decent 72 hours on a single charge. For something like this, that’s quite impressive, and it charges pretty fast too. That’s enough time for three full days (and nights) of use before it needs to be charged again. The GPS and signal strength appears reliable, and the minor indicators on the bottom of the module appear trustworthy. There’s a power indicator, signal indicator, GPS activation indicator, and finally an SOS or emergency indicator. As you’d expect each indicator will light up as a specific feature is activated. When someone tracks the device remotely, for example, the GPS indicator lights up. Don’t worry, none of those indicators are bright at all or distracting. So, if you hand this over to your kids they won’t be interrupted by your check-ins unless they’re sitting around staring directly at the thing. It doesn’t make any noise either, except during an emergency. So, if it’s inside a bag, no one would ever know you’re checking in, which can be both good and bad. 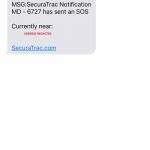 During an emergency – when the SOS button is pressed – it sends alerts immediately to pre-defined contacts. Then it will call out to emergency services. Within a minute or so, the 24/7 helpline will call the device and talk to whoever has it. During this time, the module rings loudly, and location alerts are sent to the administrative account. So, for instance, if I were to hand this device to my daughter, here’s how an emergency scenario might play out. She hits the SOS button, and it sends alerts to my phone via text and email. I would see these alerts and know immediately something is wrong. In the alert, it also includes the current address of the module. So, I can also see right where my daughter is when she calls out for help. Simultaneously, the device also sends out an emergency alert to the Bay Alarm Medical hotline. Within a minute or so they call the device itself and talk to my daughter to find out what’s going on. If there’s a real emergency they will assist her as necessary. If it’s a mistake they will still check in and then get back to me – the administrator. Obviously, in the event of a serious emergency, the hotline will also alert authorities or emergency services if needed. It’s an extremely reliable system and it provides peace of mind for everyone involved. If you’re tracking a loved one or want to make sure someone is safe, this is the way to go. The service is relatively inexpensive too, which is always a plus. Overall: 4/5 – The Bay Alarm Medical GPS system is extremely reliable, and the support staff is responsive. Everything works without a hitch, so I would have no issues placing trust – and the safety of a loved one – to this system. Since it’s not a wearable, we’re not going to go into a lot of detail, there’s just no need. The GPS module is relatively sturdy and seems strong enough to take a beating or two. We wouldn’t recommend intentionally damaging it, but then again, we hope you wouldn’t do that anyway. It’s comprised entirely of hard plastic and has a casing which Bay Alarm Medical claims is “water-resistant” but not waterproof. That means it can withstand basic moisture like rain or sweat, but you can’t submerge it in the water. So, it should never go in the shower, bath or pool. It does include a 1-year manufacturer’s warranty if anything goes wrong, so that’s always a plus. There are a variety of accessories that come with it too, like a lanyard, belt clip, charging cradle, and of course the charging cable. It also includes a “Vial of Life” which is essentially medical documentation that you can carry with you or leave at home. 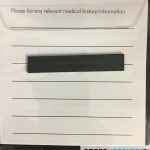 They’re little pamphlets of paper that you can list medical instructions or details on. If you’re worried about breaking the module or any of the included accessories, you can sign up for the protection plan which is $4.95 a month. Other than that, it’s pretty basic stuff. Build: 4/5 – The Bay Alarm Medical GPS module is durable, water-resistant, and reliable. It also includes a 1-year manufacturer’s warranty from the date of purchase. Not much to say here, either. The Bay Alarm Medical GPS system isn’t exactly pretty, but it doesn’t need to be. It’s two-toned, black and silver and matches nicely with the charging cradle. It sits inside the cradle reliably too. You’d be surprised how many devices are a pain to charge because the adapter doesn’t fit properly or some such issue, that’s not the case here. The button is designed well. To call in an emergency you need to press it firmly, so it’s not so squishy that it will be activating alerts accidentally. There’s also a power button on the right-hand side (if you’re facing the front) which is placed well too. The speaker and mic are also on the front, and during our testing both worked well. The speaker is clear and loud enough to understand, while the mic reliably picks up the voice of users on our end. We made several emergency calls to test out the device, and all went well. The operator always called back within a minute of pressing the button too! 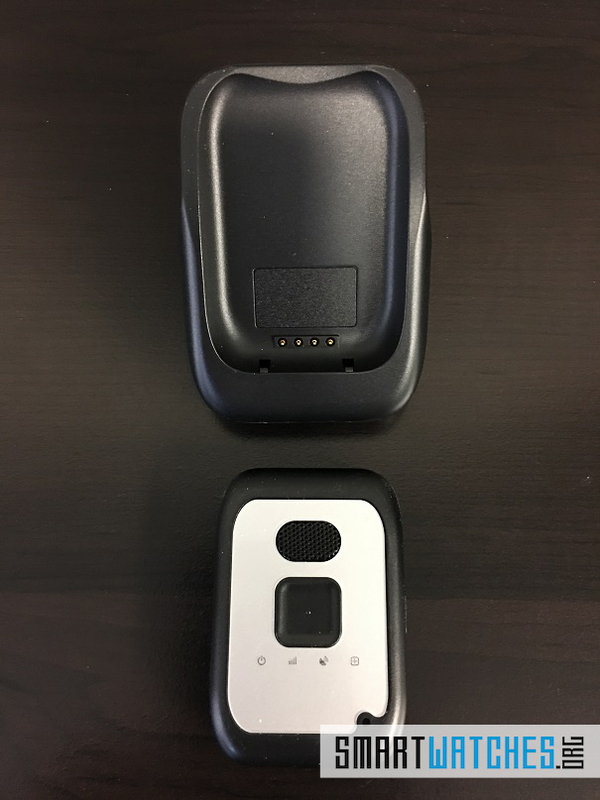 Design: 4/5 – The Bay Alarm Medical GPS module appears to be designed well, and that matters, even if it’s not the most attractive device out there. This is the most important feature of the Bay Alarm Medical GPS system. 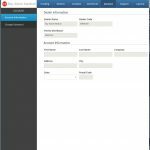 You can also change a few settings from within the web application if need be. Plus, there’s support for multiple devices if you have more than one tracker or more than one person you’d like to keep an eye on. You can also set up contacts, like the main administrator and set notifications. Notifications can be sent via email, SMS, both, or turned off completely. There are alerts for low battery, SOS activation, GeoFencing (which we’ll get to), and power status changes. The next [extremely useful] feature is GeoFencing, where you can set up invisible boundaries or rules if you will. This allows you to do things like set boundaries in your neighborhood, so your child – or loved one – can roam freely within a certain area. If they leave that area you will be notified immediately and their location will also be recorded. 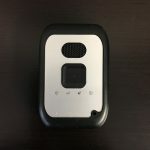 All of these features combined make this thing extremely reliable for anyone looking to track the whereabouts of a loved one or give them the means to call out for help when necessary. Plus, with 24/7 tracking support from a remote hotline – and extremely reliable assistance – there’s no reason not to trust this system. 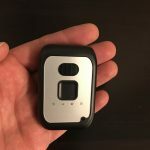 Tracking: 5/5 – This is one of the most robust and reliable tracking systems we’ve ever seen for a device of this kind. Provided your service is active, and your loved one carries the module at all times, you can stay informed. They’ll also have the means to call for help in the event of an emergency. Functionality is simple and limited, but that’s not a bad thing. From the module, you can press the SOS button and place an emergency call, or turn it on and off. That’s it. It limits the things your kids – or elderly member – can do to prevent you from tracking their location. Remotely, you can track and monitor all the things we discussed in the section above. It’s incredibly thorough, especially the speed and direction indicators which work great when the device is on the move. Functionality: 4/5 – The Bay Alarm Medical GPS Alert system is limited in functionality, but that’s okay. It does everything you – and your loved ones – need it to. There doesn’t appear to be a mobile app of any kind yet, and it’s unclear whether there ever will be. That’s not really an issue, though, because you can setup the system to send alerts through SMS, email, or some combination of the two. This means it’s compatible with any phone system, even one that’s not a smartphone. If you do have a smartphone, you can check in at any time through the web portal – you can do the same from a computer or tablet too. During our testing, we never had any reporting or connection issues. Everything worked without a single problem. Compatibility: 3/5 –There’s no mobile app, but you can check in from the web portal. You can also set up alerts and notifications through SMS, email, or a combination of the two. 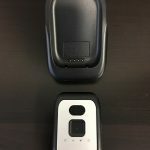 Hands down, this is one of the best remote and GPS monitoring systems we’ve had the pleasure of reviewing. It’s reliable, incredibly useful, and just works. You can track a loved one at any time remotely, and they can call out for help if they run into an emergency or problem. Provided the service is active – and it needs to be in order to use the GPS and remote call support – a hotline will monitor the device too. When the SOS button is pressed, it will alert the administrator – IE. You – and the customer service hotline, who will call the device and check in. The system works and is remarkably trustworthy, more so than some of the others we’ve tested and that’s saying something. Unfortunately, there is no support outside the US, but the staff is multi-lingual which is always a plus. 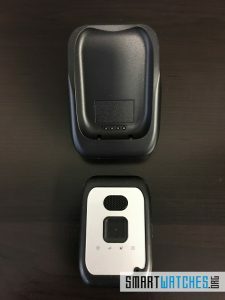 Where Can I Get the Bay Alarm Medical GPS Module? You can purchase the device and service through the official site. But you can also purchase the device via Amazon. We have listed the best price for that below. Keep in mind, this is the indoor bundle. Disclaimer: Bay Alarm Medical graciously provided the GPS module for this review. 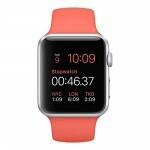 The Smartwatches.org Review Staff provides in depth and unbiased reviews of a wide range of wearables. We get our hands dirty so you don't have to!